A mother has 6 daughters. 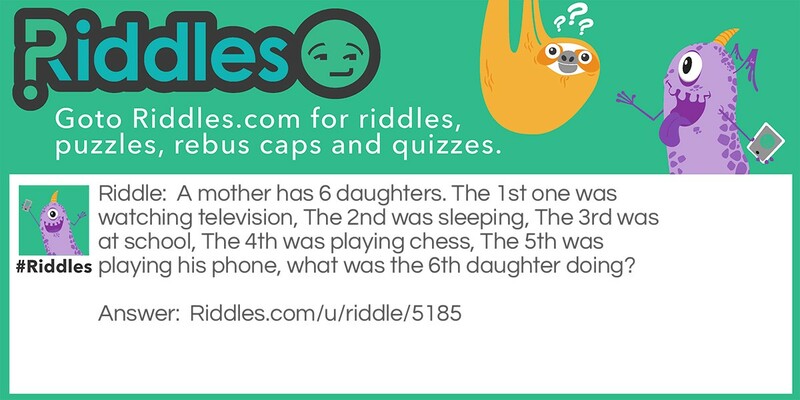 The 1st one was watching television, The 2nd was sleeping, The 3rd was at school, The 4th was playing chess, The 5th was playing his phone, what was the 6th daughter doing? Playing chess with the 4th daughter! The 6th daughter Riddle Meme with riddle and answer page link.